You try and ping DirectAccess-WebProbeHost from the DirectAccess server with no success, this is off course because the (A) record for DirectAccess-WebProbeHost has either not been created or it has been removed. 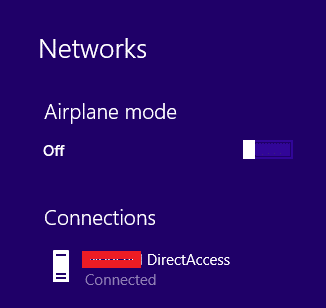 It is my personal preference to use PING for the Network Connectivity Assistant (this is what the Web Probe host is referred to from the DirectAccess interface). Open DNS from a Domain Controller. Create a new (A) record in the Domain's Forward Lookup Zone something like DaWebProbeHost and point this to a server that will always be online. Click Network Connectivity Assistant, the current entry will be set to HTTP DirectAccess-WebProbeHost this is the default value that the Getting Started Wizard configured. Delete this entry. 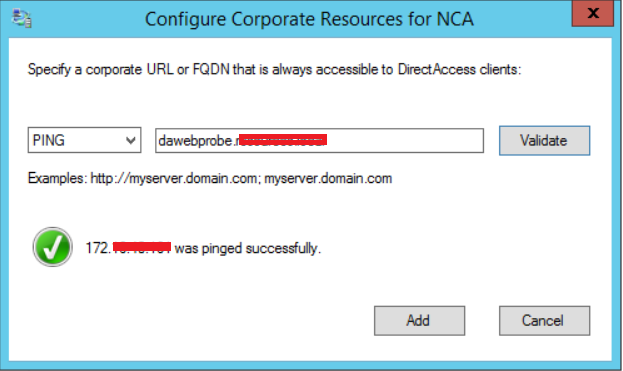 Select the connect type to PING and type the FQDN of the DAWebProbe you configured by creating the (A) record in DNS. Click Validate. 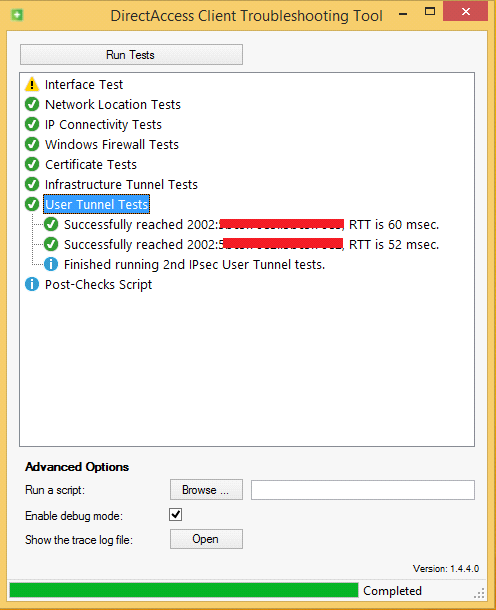 Now if you force replication between all your Domain Controllers and perform a gpupdate /force on the client, when you reconnect to the internet and run the DirectAccess Troubleshooting Tool you will now find the User Tunnel Tests are now reporting no errors.